Designed to maximise space efficiency, the BG Dual AC Power Socket allows you to charge a USB cable supported mobile device while your power sockets stay free and ready for use with other powered accessories. The 2.1A output is powerful enough to quickly charge a smartphone or even charge a large tablet with ease, meaning that no matter what device you own, the will keep it fully charged. Whether you're watching YouTube videos, surfing the web or FaceTiming friends and family, you need a strong WiFi connection. 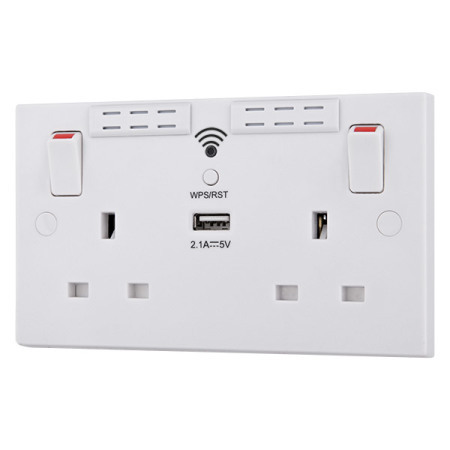 This wall socket has a built-in WiFi range extender with a simple one touch WPS setup protocol, allowing you to simply install the socket, pair it with your router and automatically enjoy a better signal in the room where your socket is. 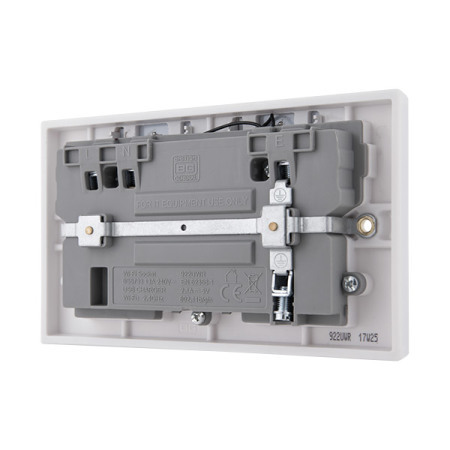 There's no lengthy setup process involved in improving your WiFi connection. 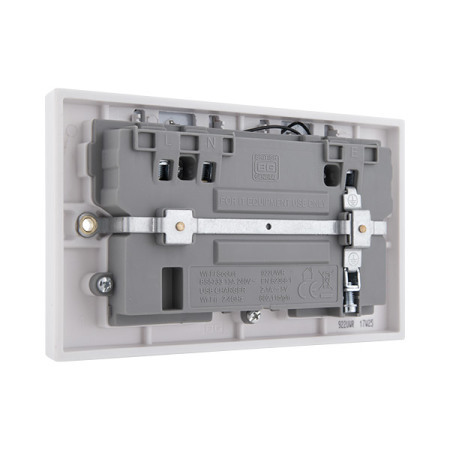 Most routers have a WPS button built in - all you need to do is press the button on the socket, press your router's WPS button and the setup should automatically complete itself. Not only does the wall socket allow you to charge USB devices, but it also ensures that the mains sockets stay available, even while the USB port is in use. 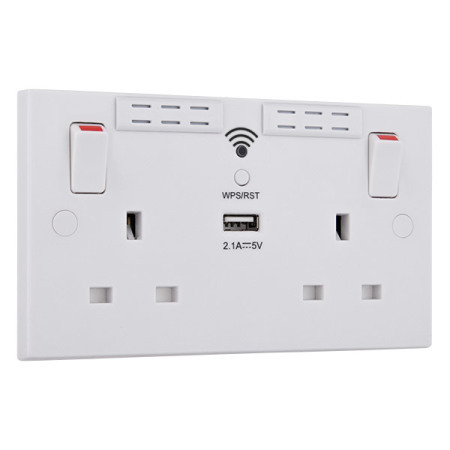 This means that you do not need to sacrifice the use of a power socket in order to charge any of your devices, allowing you to use the free socket(s) for your bedside lamp or for charging of a laptop. 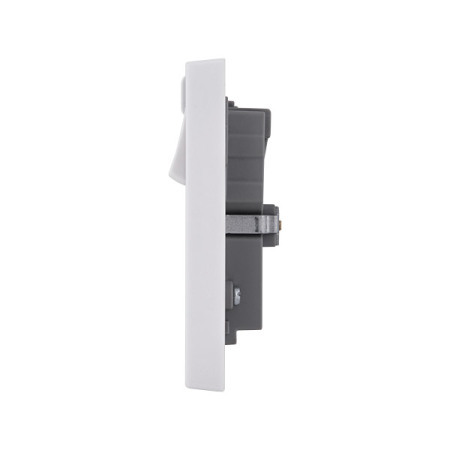 You won't ever have to worry about whether your particular provider or brand of router is compatible with the WiFi range extender built in to this socket. 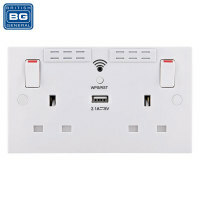 BG has engineered the socket to be compatible with all wireless broadband routers, so you can enjoy a superior connection whoever you're with. 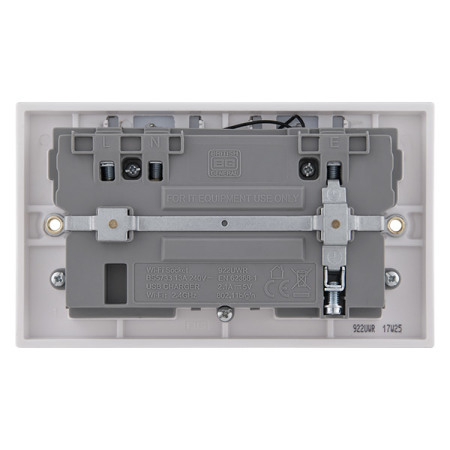 Please Note: It is a legal requirement for all work on fixed electrical installations in dwellings and associated buildings to comply with relevant standards. 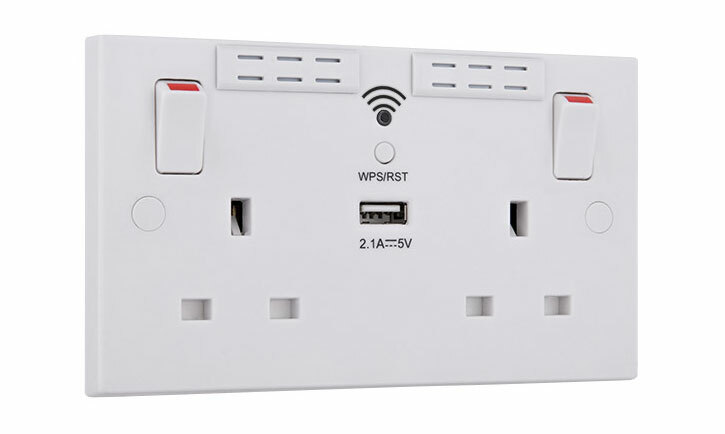 We recommend using a trained professional when installing the UK Power Socket unless you are confident in your ability to fit this item.